Exterior view of a Kroger supermarket in Sterling, Ill. Kroger (parent of QFC and Fred Meyer) and Microsoft are testing their futuristic features including “digital shelves” in two stores, but eventually it could be installed in all of Kroger’s 2,780 supermarkets and sold to other retailers. (Bloomberg photo by Daniel Acker). Kroger has remodeled two stores — located near the companies' headquarters in Cincinnati and Redmond — to test out the new features, which include "digital shelves" along with a network of sensors that keep track of products. Kroger and Microsoft are joining forces to bring the ease of online shopping to brick-and-mortar grocery stores. Kroger has remodeled two stores — the QFC at Bella Bottega shopping center in Redmond and a store near Cincinnati — to test out the new features, which include “digital shelves” that can show ads and change prices on the fly along with a network of sensors that keep track of products and help speed shoppers through the aisles. Kroger, America’s biggest supermarket chain, could eventually roll out the cloud-based system it developed with Microsoft in all of its 2,780 supermarkets. The alliance is the latest example of how big U.S. retailers are deploying data-rich technology to improve the often-tedious ritual of food shopping and keep pace with Amazon, which is bent on grabbing a bigger share of the $860 billion U.S. food retail market. For Microsoft the deal helps grow its cloud-computing business, which lags behind Amazon’s but has found willing customers like Kroger and Walmart, which are loath to line the pockets of Amazon CEO Jeff Bezos. 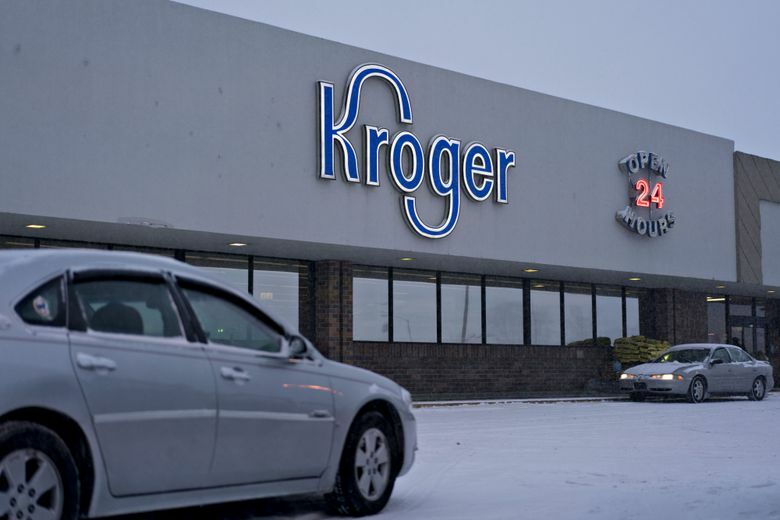 Kroger also hopes to sell the technology to other retailers, potentially opening up a new revenue stream with fatter profit margins than selling groceries. The two companies have worked on projects before but deepened their collaboration over the last 18 months. The digital shelving system debuted in the fall and can now be found at the end of the aisles at 92 Kroger locations. At the two test stores, located near Kroger and Microsoft’s headquarters, customers using Kroger’s self-checkout app will be guided through the store to items on their shopping list. When they enter an aisle, the digital shelf will display a personalized icon chosen by the shopper — a banana, say, or a pumpkin — below the relevant product. Amazon already grabs about 50 cents of every dollar spent online, but that dominance doesn’t yet extend to groceries, which are still mainly bought in stores. To break into the market, Amazon acquired upscale grocer Whole Foods Market, a deal that sent Kroger’s shares plummeting. The e-commerce king now offers free grocery deliveries from Whole Foods stores for its Prime customers in 60 U.S. cities, and its growing network of cashierless Go convenience stores has also taken a bite out of supermarket sales. 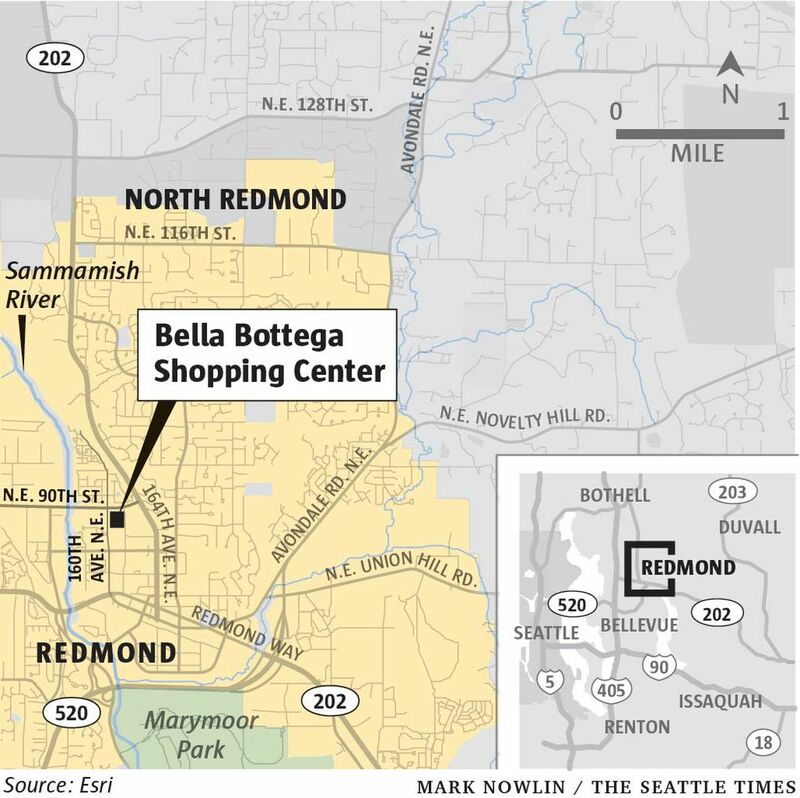 At the Bella Bottega QFC 10 minutes from Microsoft headquarters, a little more than half of the shelves have been converted into digital displays that light up with a personalized icon when shoppers reach an item they put on the shopping list in the Kroger app. Ellipse-shaped black-and-white devices that look like a cross between a camera and a smoke detector are mounted on ceilings, crunching data and monitoring for out-of-stock items. In a refrigerated meat case, temperature sensors appear every few feet, automatically flagging workers if the case warms up too much, helping prevent the roughly $10,000 worth of meat inside from spoiling. Microsoft artificial intelligence software can predict a shopper’s age and gender, data that will help the likes of Procter & Gamble, PepsiCo and Kraft Heinz tailor ads to particular customer segments. Kroger also plans, with a user’s permission, to more specifically target products and ads to a shopper’s preferences, highlighting products for gluten-free eaters, say. Video trailers for upcoming Hollywood movies could also be part of the advertising mix. In an effort to speed up the consumer experience, the data crunching could be divided between Microsoft server farms and the stores themselves — using those black-and-white devices on the ceiling. The grocery applications also make use the “hybrid cloud,” which combines customers’ corporate data centers with Microsoft’s own. Microsoft’s efforts in the hybrid cloud space has given it bragging rights over Amazon, which unveiled a significant new effort late last year.